The origin of Outsourced Product Development (OPD) can be traced back to early 1990s when organizations adopted the practice of hiring third party vendors for development of products and services primarily to cut costs of in-house development. However, along the years, organizations have come to adopt OPD for multiple other reasons such as quicker time-to-market or access to external expertise that is not available in-house. OPD, as a business model, has gained acceptance as an extended development option for product companies as it represents a relatively low-risk, high benefit opportunity. By outsourcing product development, companies are able to acquire new expertise, build additional resources, ramp up development team at a faster pace, minimize development costs and above all boost bottom lines by focusing on new competencies. However, companies that are outsourcing product development are increasingly looking for more than just short-term benefits like reducing IT expenses and improving profitability. What this translates to for software solution providers is that focus has to be on providing quality software and building a more robust, scalable and flexible product that will stand the test of time. Economic advantages aside, companies expect value addition in softer aspects too that will reap in benefits in the long run. Factors like product conceptualization, sound product design, exhaustive product testing, strategic product marketing, mitigation strategies for identified risks of failure and post-launch support and enhancement will prove to be the differentiating factor for vendors in the OPD market. In their race for survival and growth, businesses are trying to become more flexible today. With ever-increasing competition in the market, companies need to open new avenues for building their competitive advantage. Outsourcing has become a common practice and almost a given in a multitude of industry verticals. Shortening the time-to-market cycle assumes enormous importance to exploit the early mover advantage. Adopting the agile methodology for new age product development has become critical as nimbleness is the key here. Quick iterations, continuous improvement and rapid response to change is necessary to succeed amidst fast changing market dynamics. The product engineering process begins with in-depth research and understanding of client’s needs, domain, market demands and competition. 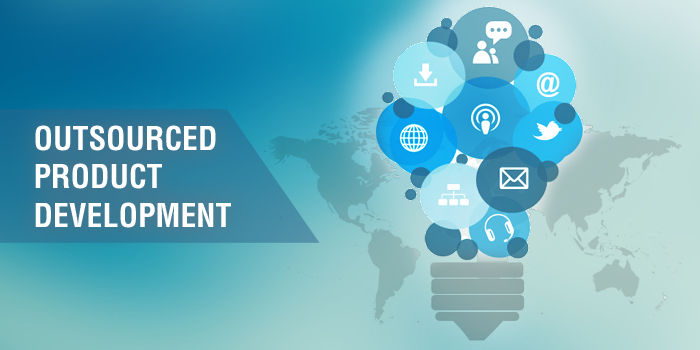 From conceptualization and refinement of the product idea, to advancement and implementation of the product and establishment of software support framework in the market, OPD involves giving shape to an idea, developing a usable product out of it and turning it into a successful business venture. Ranosys has been selected amongst 20 most promising outsourced product development (OPD) companies in the world by SiliconIndia. A distinguished panel comprising of accomplished CEOs & CIOs of public companies, VCs and analysts, including SiliconIndia editorial board decided on the top 20 OPD companies out of 500-odd shortlisted companies. We believe our competitive advantage lies in our value proposition for outsourced product development. As stated by our CEO, “Our value proposition lies in sound product engineering, integrated strategic planning, seamless communication, innovative collaboration and specialized resources throughout OPD cycle.” What differentiates us from our competitors is efficiency and effectiveness of operations that we derive from our industry-specific expertise gathered over the years to deliver best practices in IT solutions to our clients.